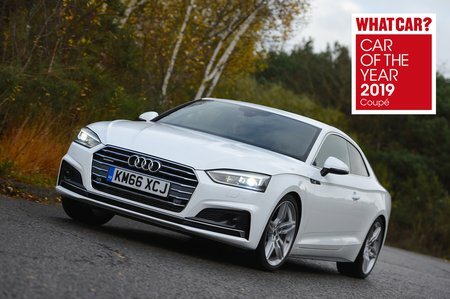 Audi A5 Coupe Performance, Engine, Ride, Handling | What Car? There are three different suspension options depending on which trim you choose. Sports suspension comes as standard on the popular S line and Black Edition trims. This setup isn't bone-shakingly firm, but you certainly feel every little bump as it passes beneath the car, which doesn't really suit the A5's otherwise relaxed, peaceful demeanour. Fortunately you can opt for softer Comfort Dynamic suspension at no extra cost; this more forgiving setup comes as standard on our favoured Sport trim. There's also an adaptive setup (optional on S line and Black Edition trims and standard on range-topping Vorsprung), which is even better – it's supple enough to take the sting out of smaller ripples and bigger bumps alike. Just bear in mind that, whichever suspension you choose, the A5 doesn’t soak up sharp-edged potholes quite as adroitly as the A4. 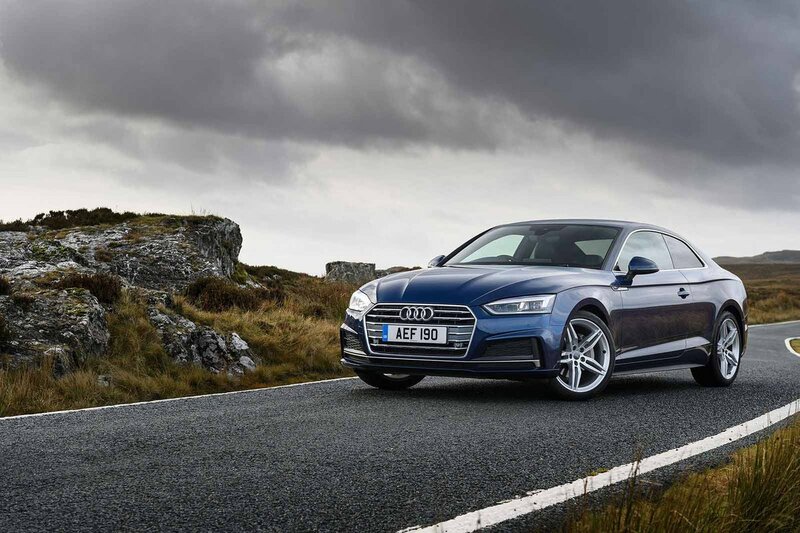 Audi says it has intentionally made the A5 'sportier' than the A4 because that’s what buyers expect from a coupé. But the truth is you’d be better off with a BMW 4 Series if you're looking for driving thrills. The A5’s steering is precise, but it never really involves you in the process of going round corners, which is a pity given how much fun Audi’s smaller TT coupé is to drive. 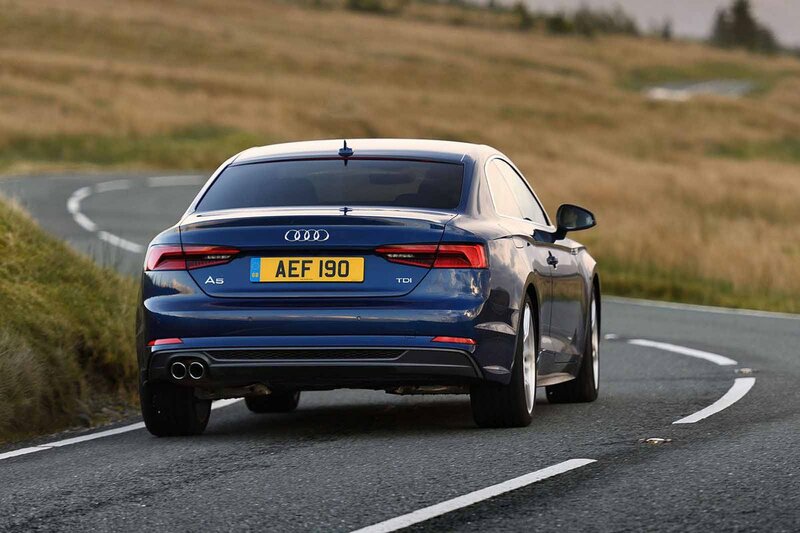 Mind you, the A5 grips the road well and, if you switch the optional adaptive suspension to the firmer of its two modes, there’s little body roll through bends. We've yet to try the 148bhp 2.0-litre petrol (badged 35 TFSI) that represents the entry-point to the range. The 187bhp version (40 TFSI) is suitably punchy though and is our favourite; the 242bhp version (badged 45 TFSI and available exclusively with four-wheel drive) doesn't feel that much quicker and isn't worth the extra outlay. The entry-level diesel (a 187bhp 2.0-litre named 40 TDI) is nippy enough and sends its power to the front wheels. Meanwhile, the most potent diesel (a 282bhp 3.0-litre badged 50 TDI) gets Audi’s quattro four-wheel-drive system and an automatic gearbox as standard. It’s the low-down pulling power this range-topping diesel produces that really takes your breath away; put your foot down hard away from some traffic lights and you’ll be doing 62mph in less than six seconds. The smooth engines combine with minimal wind noise to make the A5 a peaceful cruiser. Some road noise is noticeable over coarse surfaces, but is kept to an acceptable level if you steer clear of the really big wheels.